The Honeywell System Sensor CO1224TR is a round carbon monoxide detector, with a highly accurate and reliable electrochemical sensing cell, used to provide early warning of dangerous CO levels. The CO1224T is a 12/24 volt, 6-wire, system-monitored carbon monoxide detector with RealTest Technology. The CO gas sensing cell used in the CO1224TR carbon monoxide detector can be tested using a CO gas agent, fully meeting the requirements of NFPA 720: 2009. Simply put the detector into RealTest mode, spray a small amount of CO into the detector per the installation instructions, and within seconds the detector will alarm, indicating successful gas entry. When dangerous amounts of CO are detected, the CO1224TR carbon monoxide detector alert residents by sounding and flashing a temp 4 signal alarm. With 24/7 GeoArm central station monitoring, residents are guaranteed protection whether they are away from home, sleeping, or already suffering from the effects of CO. The CO1224TR carbon monoxide detector is designed for system operation. 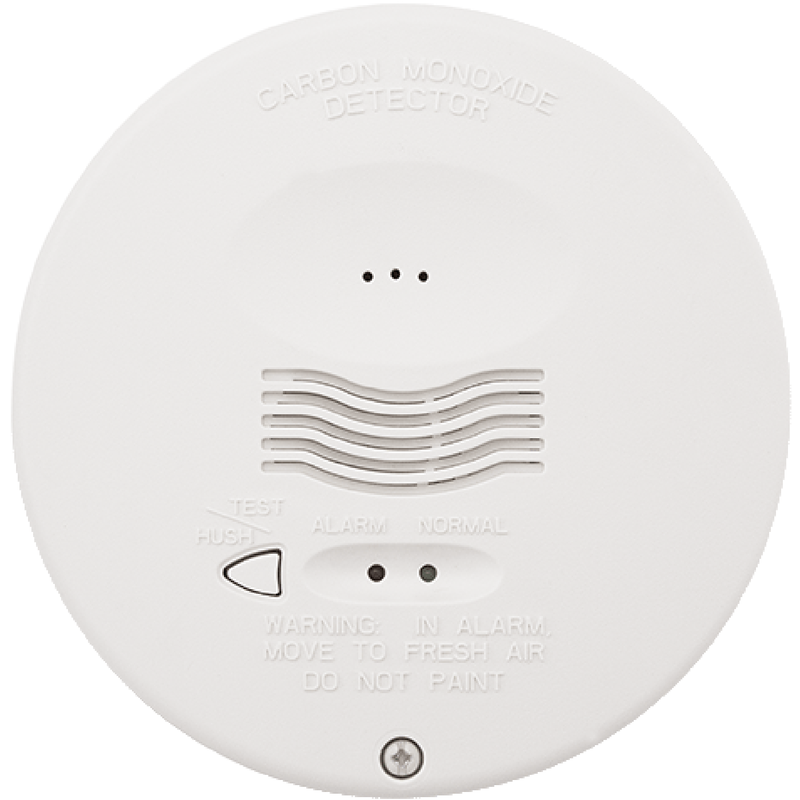 This carbon monoxide detector is fully listed to UL 2075 and offer a code-required trouble relay to send a sensor failure or end-of-life signal to the control panel and GeoArm's nationwide central monitoring station. The CO1224TR also uses SEMS-type terminal Philips head screws for quicker and more positive wiring connections and code-requiring wiring supervision. With a low current draw, this carbon monoxide detector enables more devices to be connected to the alarm control panel, limiting the need to purchase extra power supplies or more expensive replacement panels. As 12/24VDC detectors, the CO1224TR will operate on most existing security and fire alarm control panels.